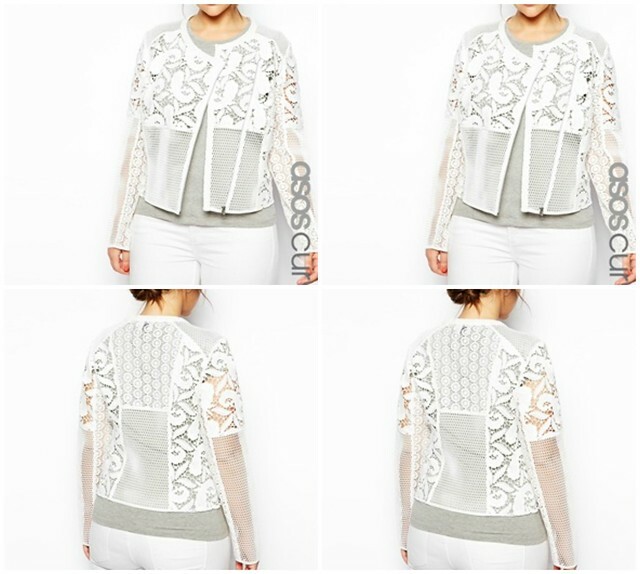 But first let me just faint from this magnificent fashion statement that is a lace applique jacket. Viewing this jacket on ASOS was love at first sight. I saw it and knew I had to have it. The details are impeccable and I can't stop looking at it and imagining how I will wear it. It is absolutely perfect for spring and summer and maybe a hint of fall. I plan on wearing it as much as I can. I just placed my order and with a 20% discount currently on the site, it made the purchase even more easier! Can't wait to receive it. I'm excited!